A one-of-a-kind 10' long single piece of California Walnut. 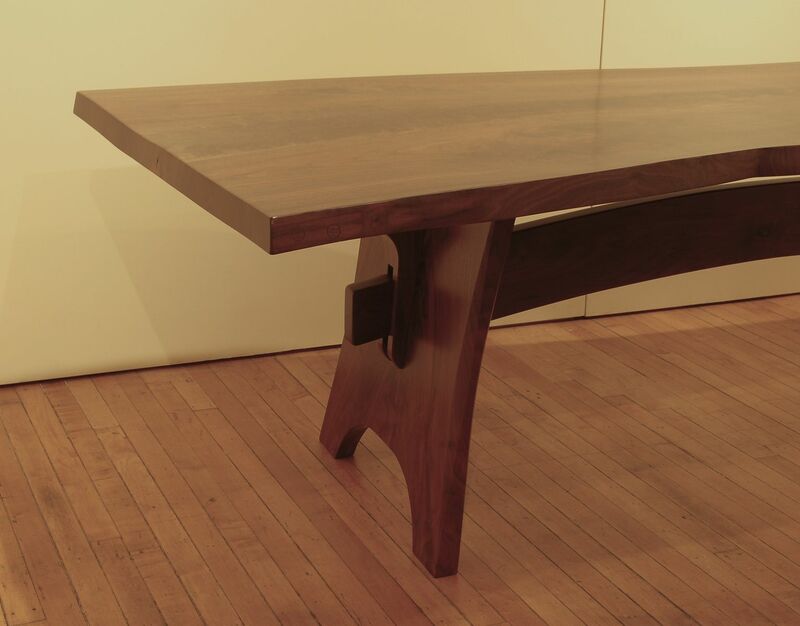 This base has exquisite figured California Walnut and is very solid. There is fiddleback throughout the table. The tree was taken down at a farm in Gridley, Ca. due to age about 15 years ago. This piece is gone, but I have more slabs. For the serious table buyer. Expensive to mill, make, and move!! !